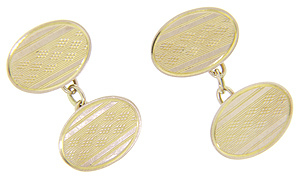 Diamond patterning ornaments these 9K yellow gold antique cuff links. 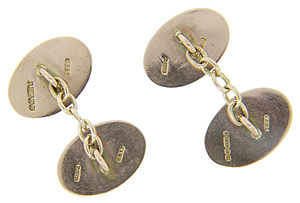 Oval in shape, each face of the art deco cuff links measures 3/4" in length by 1/2” in width. Circa: 1920.